When you dissolve something, the substance breaks up into fine particles that your naked eyes cannot see. Depending on the nature of the substance, some break into groups of molecules, others turn into single molecules and still others break up further to become single atoms. When these particles become surrounded by the solvent and interact with the solvent molecules, it is termed solvation. SOLVENT is the liquid in which you dissolve your solids. SOLUTE is the solid you want to dissolve. However, solvents can be liquid or gas. Solutes can be gas, liquid or solid. In molecular solutions, it means the molecular bonds are strong and the molecules don’t break apart. 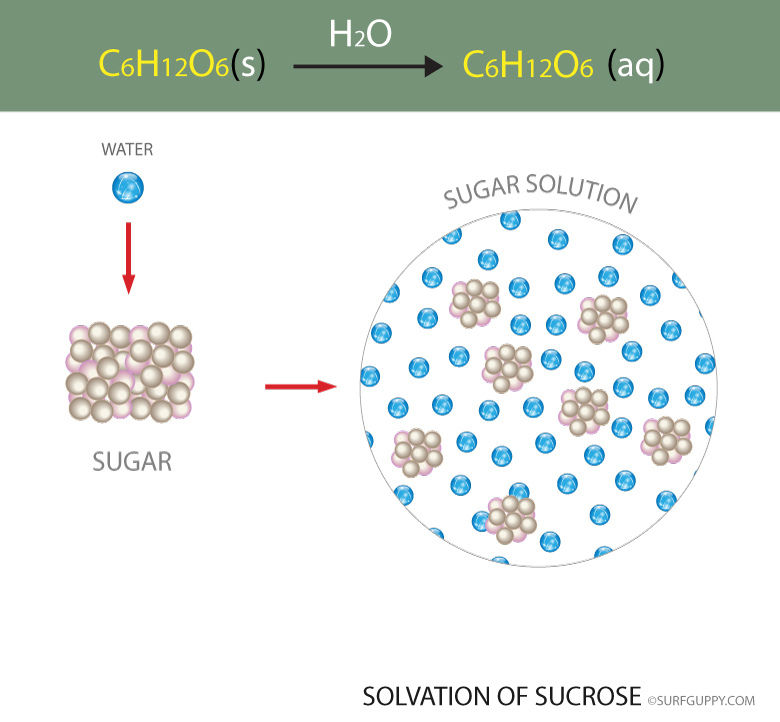 Sugar solution is a good example of a molecular solution. Even though a lump of sugar reduces or breaks up during dissolving, the individual molecules themselves DON’T break up. You may not be able to see them, but each molecule is a happy sugar family of carbon, hydrogen and oxygen atoms holding hands and staying together! Each sugar molecular family can become very sociable and attract a certain number of water molecules to hang out with them. Notice that the sucrose molecule is NOT broken down during the process of dissolving – the sucrose family has a strong bond. 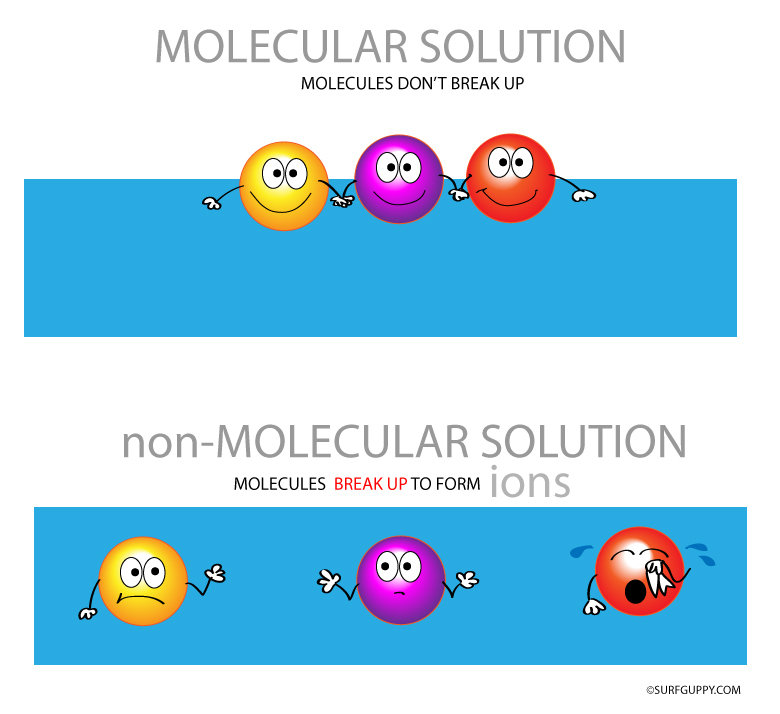 In non-molecular solutions, molecules are broken up – “non-molecular”. The water molecule is strong enough to come between the compound and break apart the elements. 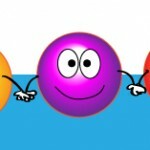 Each element or atom becomes either a positive ion (cathode) or negative ion (anion). An example is the sodium chloride compound. The water molecules break up the compound into sodium and chloride ions. This phenomenon is known as DISSOCIATION. 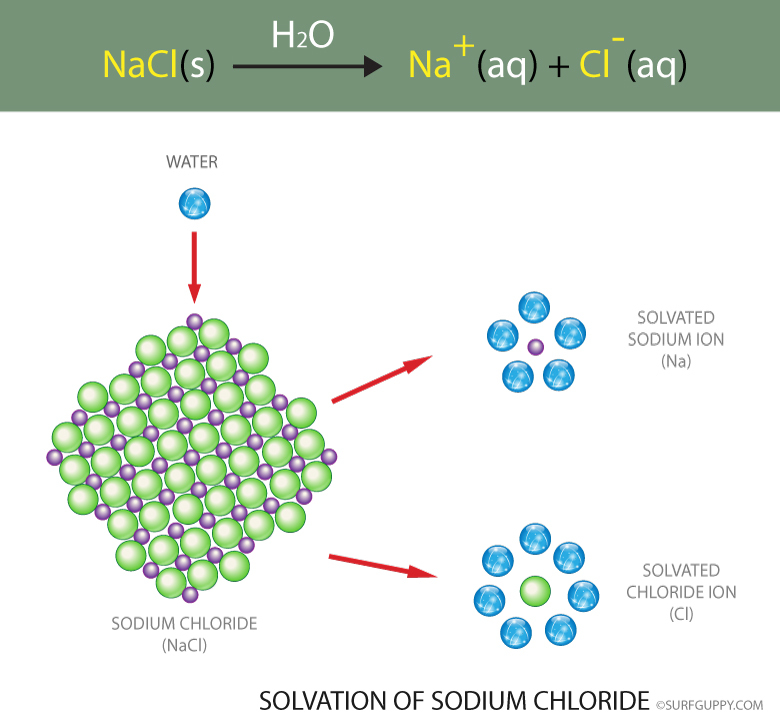 What Is Sodium Chloride Used For? Sodium chloride is an ionic compound found in various foods and medical treatments. More commonly referred to as “salt” or “table salt,” sodium chloride is used as a seasoning in many foods. The process in which the ionic compounds separate into small ions. The water molecules get between and pull apart the molecule. Does NOT apply to solutions such as sucrose solution. The solute particle gets surrounded by the solvent particles. 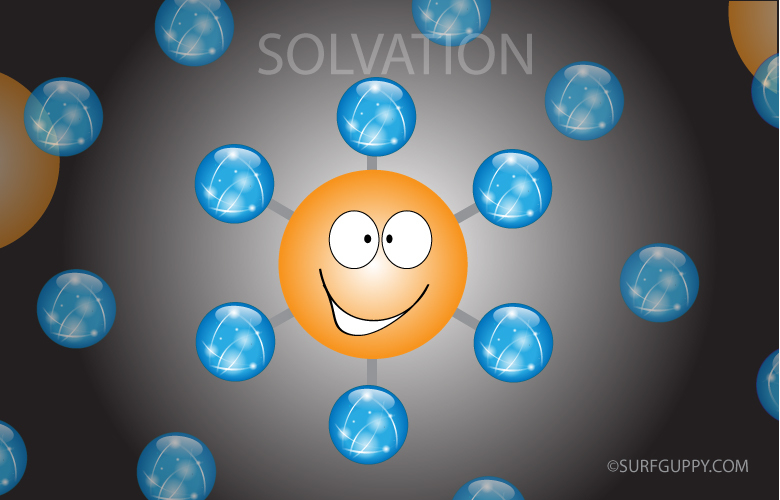 SOLVATION becomes HYDRATION if the solvent material is WATER.